Way dope round tonight bruh, can't wait til Sunday to get it again! BYOP DOUBLES SUNDAY MAY 25th AT BUXTON WOODS HUGE PAYOUT TO FIRST PLACE AND SECOND PLACE WILL GET HALF THERE MONEY BACK. DEPENDING ON HOW MANY PPL WE MAY PAY THIRD AS WELL. OPPURTUNITYS. IF THERE ARE MORE THEN ONE ACE THEY MAY CHOOSE TO SPLIT IT OR DO CTP OF THE FIRST ACES CHOICE. THIS IS ROUND TWO OF DGB HIGH ROLLER. THIS TIME THERE IS A PLAYER CAP OF 8 PEOPLE NO MORE SO FIRST COME FIRST SERVE THIS IS 2 ROUNDS 20 DOLLARS A PLAYER 40 A TEAM. TEE OFF IS AT 8AM NO EXCEPTIONS FOR LATE ARRIVALS AND NO ONE CAN PLAY IN THE TOURNY IF ITS FULL. 20 bucks isnt really "high stakes" lets pump it up to 50 or 100 if you want to really be a high roller. whens the next one and where? sweet ace. forehand i would guess? pretty dope ace for an intermediate player. haha nice throw. Nice ace, Natedawg! Pretty epic. Alright, this is getting interesting...I'm gonna' bring PMDLab down to Champoeg, sell a few discs, and check out the 2v2 action! I'll prolly roll in around 9, Nate. Ah, it's just to sell to the randoms that come through, mostly. Will be fun to see how your matches turn out. Thanks for per-registering so early on! Ps. What disc are you looking at? High stake 20 dollars a Player 40 dollars a team. 3 rounds of 15 holes at champoege state park. IF DGB WINS AND YOU WOULD LIKE A REMATCH YOUR TEAM GETS TO PICK THE COURSE FOR THE FALLOWING WEEKEND FOR A REMATCH. Hey Nathan! 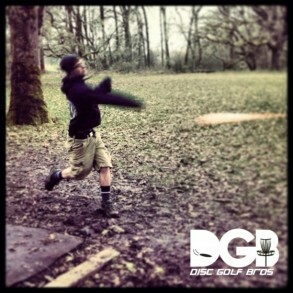 I ended up getting those discs online :) but I hope the DGB can make it to the 24th or 25th at Canyonview!! Loved having you and Nathan out at the Pysco Santa and the Chain Gang event in Salem too! I'd love to see NateDawg and the DGB crew represent at Scared Square on the 25th. They could field a pretty solid team! Hey Paul what discs are you talking about and when and where are these events your talkin about. They sound fun. Rick is talking about the discs. We're having two separate tourneys at canyonview camp next weekend, they are on the schedule. What is the weight on the echo star wraith? And do you still have the ti buzzz?! Well I'll be up to Estacada next Saturday at the Discology. What is your schedule? You don't like that Judge anymore? i have 2... both white... for a TI WASP? HELLZ YEAH! PIER PARK BYOP 1st ROUND AND THEN SINGLES BEST SCORE THE SECOND ROUND BEST SCORE WINS. WE WILL PAY THE TOP 2 PLACEMENTS IF MORE THEN EXPECTED MAYBE THE THIRD PLACEMENT AS WELL. Way to huk Nate. Congrats! you play womens rec or what? badass tourney ace at the bmo, NICELEE done... see ya at the wortman open where youll surly crush all them ccdg baggers in intermediate. BIG MONEY BLOW OUT ROUND 3! DGB HAS ALSO MADE A FEW CHANGES. PLEASE READ BELOW. Also Everyone gets 3 throws even if Someone makes it before every player gets a chance to throw. If two or more people make the ace they will have to split the money. To determine who throws in what order we will draw names from a hat. Players will have 21 Throws if no one hits the ace the money will roll over the fallowing weekend. There should always be more then $100 at every blow out so its definetly worth the drive and time to come out. This is a great oppurtunity to easily win the big bucks really fast. Also Chain gang has agreed to help me with my idea and locations may vary from salem and portland areas. this Sunday it will be at CHAMPOEG STATE PARKplease have everyone meet at hole 1 at 8am for registration. Tee off is at 9am if any questions please call Nathen Eyman or text me at 5039647340 also the bonus ace shot is still standing it is curentlyy at 80 dollars since no one hit it last sunday so that will be played as well. BIG MONEY BLOW OUT ROUND TWO! SINCE NOBODY HIT THE ACE LAST SUNDAY, DGB IS NOW ROLLING THE CASH OVER WHICH IS CURRENTLY AT $70! DGB HAS ALSO MADE A FEW CHANGES.RANDOM DOUBLES IS AFTER THE BIG MONEY BLOWOUT AS WELL. PLEASE READ BELOW. 10 dollars for each new player that did not attend last week. DGB is giving the players who have already paid their 10 dollars another chance to hit the ace. Once a player has paid their 10 dollars, they are not required to pay again until the ace has been hit. Each player gets 30 throws, 5 throws at a time. There's a chance to win hundreds of dollars depending on how many ppl show. 150 foot shot, 2 baskets, 2 Lines, 30 throws, 5 at a time. Also Everyone gets 5 throws even if Someone makes it before every player gets a chance to throw. If two or more people make the ace they will have to split the money. To determine who throws in what order we will draw names from a hat. Players will have 30 Throws if no one hits the ace the money will roll over the fallowing weekend. There should always be more then $100 at every blow out so its definetly worth the drive and time to come out. This is a great oppurtunity to easily win the big bucks really fast. Also Chain gang has agreed to help me with my idea and locations may vary from salem and portland areas. this Sunday it will be at timber park please have everyone meet at hole 1 at 8am for registration. Tee off is at 9am if any questions please call Nathen Eyman or text me at 5039647340 also the bonus ace shot is still standing it is curentlyy at 80 dollars since no one hit it last sunday so that will be played as well. Displaying 1-20 of 45 total board posts.